Gratuitous Hannah Montana jokes aside, Montana was the first state we hit up after crossing onto American turf. We spent the night in Shelby, as we crossed the border in the evening after a full workday and saying farewells to family. With free camping being the name of the game, we parked in a Shopko parking lot that allows overnight parking. Not the most picturesque, but convenient nonetheless. The morning brought chilly sunshine and an early start for heading toward the southern part of the state. 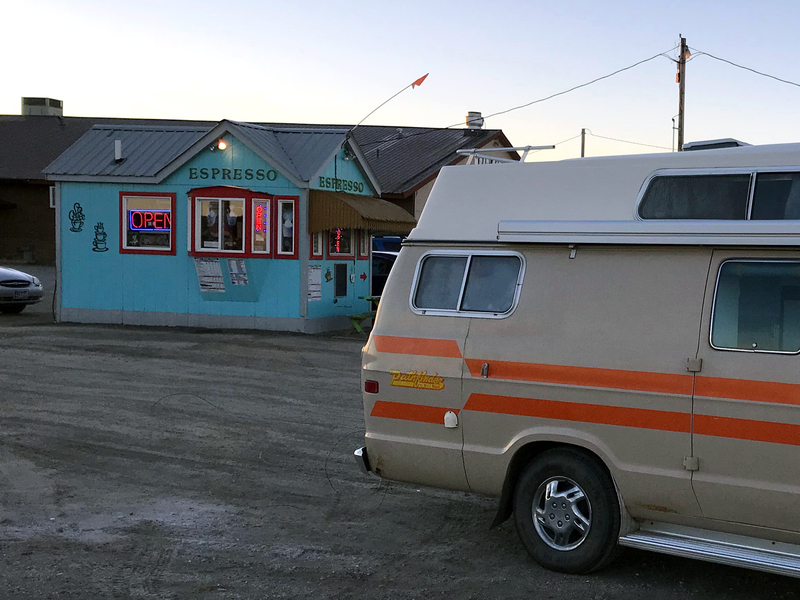 For such a small, highway-centric border town, Shelby’s drive-thru espresso bar was bumpin’. We originally thought this little blue cottage with ladies slinging caffeine through both windows was pretty unique until we noticed these small drive-thru coffee shops in parking lots all over Montana – guess our American neighbours have higher standards for coffee than Tim Hortons (that’s right, I said it). 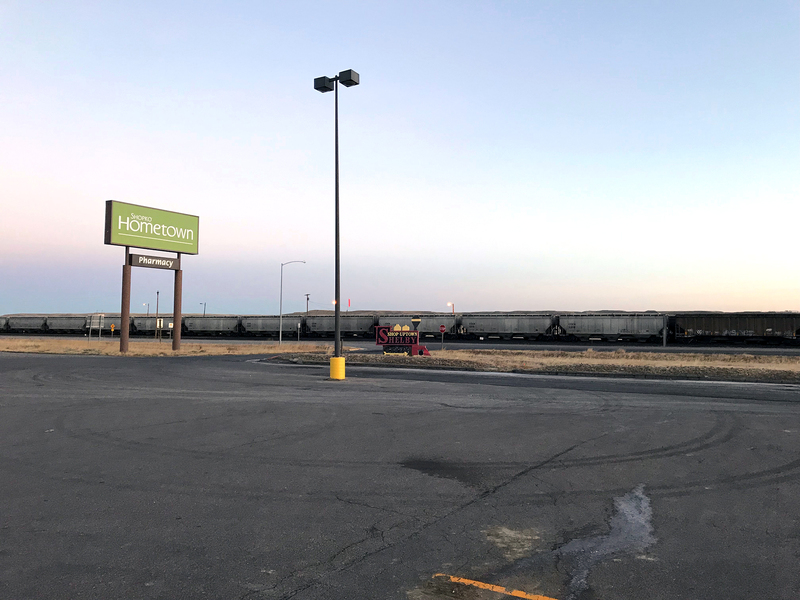 As expected, Montana seemed to be a mirror image of Alberta: flat and prairie-like with visions of mountains in the distance. 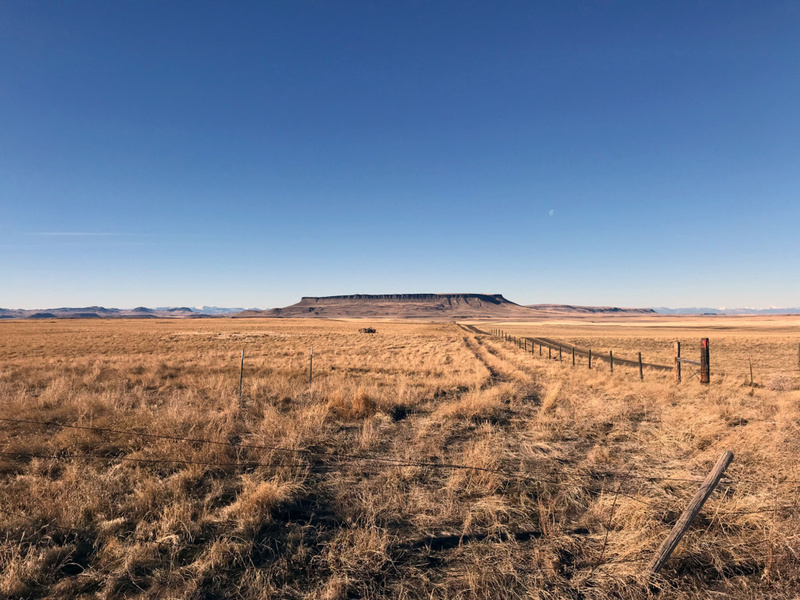 Stopping for gas in Ulm led us to views of the First Peoples Buffalo Jump, which is said to be one of the biggest buffalo jumps in the world. After detouring down a long dirt road, we were able to drive up one of the hills and have a pretty sweet vantage point of all the surrounding farmland and mountains. Driving along the Missouri River was pretty stunning and boasted such diverse scenery that kept it interesting the whole time. 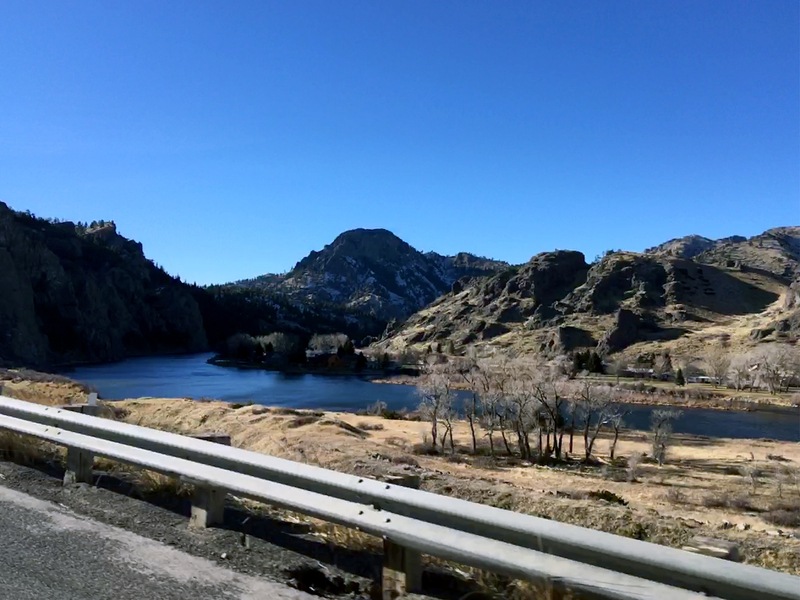 We continued to cruise down the I-15 into the State’s capital, Helena (I didn’t know that either), when the landscape took it to the next level. 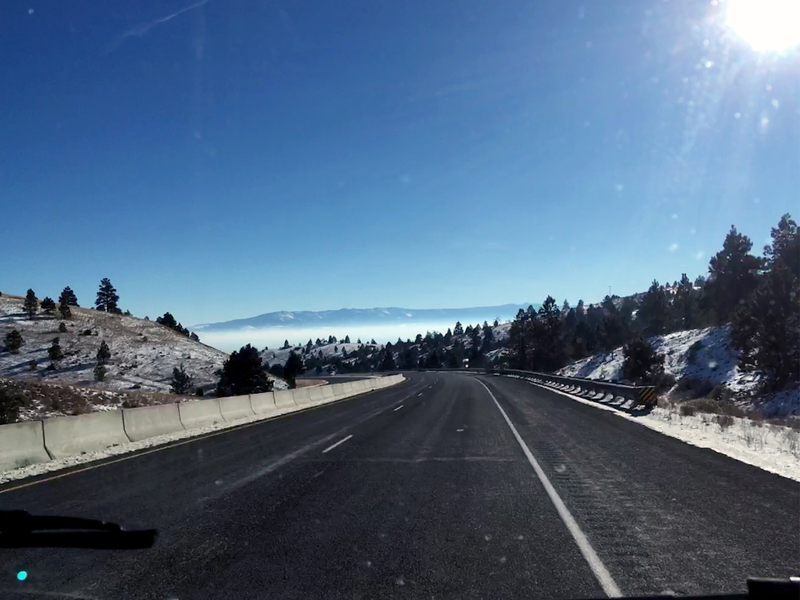 Whether we just came on the right day or it’s always that pretty, Helena is set in a valley surrounded by snow-capped mountains that create a magical haze across the top of the city as you’re driving into it. So I’m Growing Old on Magic Mountain by Father John Misty happened to be blaring out of our Rampage cassette player at the time so that only added to it. What was supposed to be a brief stop in town turned out to be a fun few hours talking to locals about all the good stuff Montana has to offer and getting a boost from a hilarious dude who lives off-grid on top of a mountain overlooking the Missouri River (shout out to Dave, you rule). We didn’t have enough time to check them out, but if you’re ever in the Helena area, the hot springs are supposed to be the bomb. By the time we arrived, it was too dark to see our feet but it became clear why they call Montana “Big Sky Country”. The darkness was covered in a blanket of twinkling stars that made you feel like you were in a glittery snow globe. We were pretty bummed to not have the equipment to take a long-exposure photo but I’d recommend everyone to explore Montana and experience it for yourself. 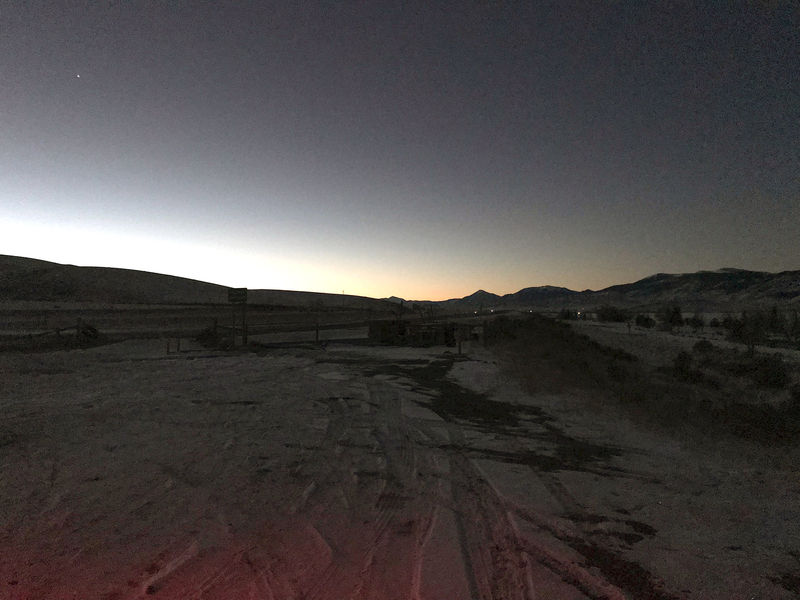 We camped at Beaverhead Campground, part of the Clark Canyon Reservoir, about 20 miles south of Dillon, which has picnic tables and fire pits ready to go. Apparently there are washrooms too but we never sought them out since we’re true mountain men, ha. It was dark. Leave me alone. Curious about any of the places we hit up? Give us a shout and let’s talk Montana.